Owning a majestic lake front condo at Thousand Hills in Branson is a wise real estate investment because you will always have the chance to spend a wonderful vacation anytime you want. The real estate market in Branson continues to grow as more and more people are becoming interested to own a lodging property at Thousand Hills. If you are looking for the best lake front condo in Branson, the staff at Thousand Hills Sales Company is happy to assist you in choosing a magnificent vacation home or a rental lake front condo in the beautiful Ozark mountains. Thousand Hills Sales Company has long been a proponent in marketing some of the best real estate projects in the Ozarks. The company remains the premiere golf and lake front condo specialists for many years in Branson. If you are in search of condo properties for sale, you don’t need to go anywhere else because in Branson you will find all listings of real estate properties available as well as complete information on the different projects marketed by the Thousand Hills Company. The company always look forward to serving all guests who wish to own lake front condo. The real estate projects of Thousand Hills include quality condos, log cabins and townhomes that are for rent or for sale at affordable prices. Real estate properties in Branson continue to become a good investment option as many people from other parts of the country are becoming more interested to visit Branson each year. Thousand Hills also offers real estate buyers an opportunity to participate in a nightly rental program giving them extra income every month especially when their condo units are left vacant for a longer time. Thousand Hills real estate properties are becoming more popular because of its beautiful location in a secluded place but actually nestled around the vicinity of Branson’s city attractions and entertainment district. The lake front condo of Thousand Hills is Branson’s finest and a perfect get-away retreat for romantic couple who want to spend a wonderful escapade in a tranquil mountain resort. The 1,300 sq. ft. lake front condo features a private covered balcony, unique split bedroom floor plan, two-king size bedroom suites, beautifully furnished Jacuzzi baths, and a picturesque view of the pristine Table Rock Lake. The convenient location of lake front condos gives you the opportunity to enjoy many exciting water activities and other water sports adventures such as swimming, boating, parasailing, wave runners, and many more. To enjoy the utmost fun and excitement on the lake, take advantage of the river boating adventure and dock your boat overnight at the State Park Marina near your condo accommodation. With all the exciting attractions and world class live music shows, great shopping and dining opportunities, you can say that lake front condo is a perfect vacation home in the Ozarks. 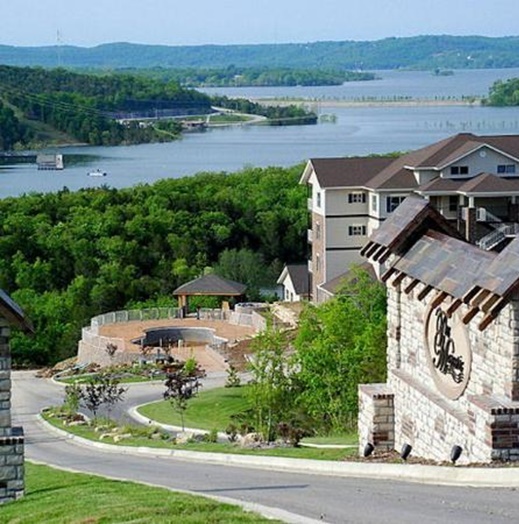 So, if you want to own or rent a lake front condo, don’t hesitate to visit Thousand Hills Sales Company in Branson.